I completely agree with you. Not only that many casual fans already lost their interest, but also many modding-union users from the golden era of the mod, which is, at least for me, 2015. In the past weeks I've tried to reach out around ten members from that period who still have account there. You know, I don't know. I am also sad, because many of us remember completely different times. Frequent updates, wonderful and fresh content, interactions with the team members in the forum discussions, avalanches of users with their comments or questions which had to be answered, and so on. But it's a life ... even though Edain has many flaws, currently lack of updates for instance, still we're talking about one of the best mods which were ever made. Not to mention that completely free. And we can be thankful that some of the core members are still around, after so many years. What you see as a problems I see as the biggest advantages of the mod. Yes, already did means already stole everything. Not to mention their illegal presence over internet, they even don't have official page, either here or anywhere else. Modding Union forums currently have three active Lorien proposals which are connected together. 3) And last and the most nicest one connects all heroes - unique and not generic Gifts of Lorien for every Lothlorien hero, and not only for elves. Mounted CD image should normally work with vanilla and Edain too, but I wouldn't recommend mix 2.02 with Edain at all. Here is my answer concerning Elrond's healing. It's just game and in Edain are roles. We stressed his mass slayer role which is represented by three abilities. He is formidable and experienced warrior after all. Thanks to elements like water or wind we stressed his Lore-master skills (in the mass slayer role as well - two in one we can say). And additionaly, we added Vilya that stresses his dominance in the whole faction and represents power of the three rings from the books, as well as as Nenya (again - two in one). But sadly - there isn't room for his healing skills as we know them from the books. Such role (hero support/healer) has Arwen. And there also isn't room for his gift of foresight, again, that is represented by scout Gildor. There isn't room for his wisdom too ... etc. etc. So rather than be "mix man" and have all aspects from the books and movies, we wanted him to be more focused and important. Heal wouldn't be unique (Nenya heals) and with combination of invincibility such ability would be extremely OP. But I think that in reality it will work in the same way - if you build wall fountains for instance, it'll provide time for healing your troops while they're are protected by Vilya. It will be OP in current/proposed state either way, that's why we suggest to rise his price from 2 500 to 3 000 (which is quite common price for faction heroes by the way) and keep his mount ability which isn't "standard" ability. But long term effect is something extremely important for us. It will be used only for defensive purpose, so you can't march with invincible army against enemy base. And of course cooldown of such skill will be quite long - same as Nenya's. With my wonderful friend and elven nerd like me DieWalkure, we little reworked last two abilities of the Lord of Imladris! Elrond's mass slayer role is now clear, but mainly - Vilya, mightiest of the elven rings, now protects Rivendell from evil and decay! We wanted be loyal to Tolkien as much as possible! I've reworked Gifts of Lorien ability in order to make gifts more unique and keep Galadriel's ability slot useful even in the late game. I really like this model. Especially that you tried to distinguish from other mods and mainly from the movies. I would be careful to interpret him that way, but ... it can be unique and interesting in the game, something different ... Sauron who takes shape. You're right concerning movie interpretation, but it's also due the fact that after he was defeated and lost his ring ... we didn't see him directly confront anyone in the books. Another great model recyclation! :o) What I really like is dark/night motive of Mirkwood structures. Nice contrast to Lorien where are the lights dominant. Take your time and keep that style for the whole subfaction! You're creating great example for other mods that Mirkwood can stand as a separate faction! Diversity is what makes mods unique. In Edain you can find cave structures, so why not for BOTTA something else. Just minor suggestion: I would recommend to use "one hand gesture" animation for Galadriel (like in Edain or BOTTA) for her primarry attack. Better than those vanilla punches. 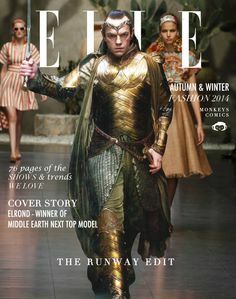 And one question: Are you really planning Dol Guldur golden armour for Elrond? Models are the strongest side of this mod, so even now I am sure that it will be the best armor on Moddb. I think that Kmogon is on the right way to become beta-tester (and I'm still wonder that ET doesn't hire him yet). Not only that he faithfully follows the mod quite a long time, and regularly answers users questions, but he has something what I call Edain's sense - from the past I know only two people from international community who had it - Tienety and CragLord. For instance I or DieWalkure also have that sense, but we are fixed on the things which we prefer. But Tienety and CragLord were able to see through every faction and named every minor detail which should be removed, solved, or reworked and overall they were major creative force in the beggining of English forum on Modding-Union. Now, when the community is significantly smaller and not so active like in the past, and progress is slow, persons like Kmogon, who by the way was first who said "Use Watcher's animation for Huorns and that's it", would be valuable asset in beta forum. The best hero rework in the entire game! Three years of debating the concept in Modding Union forums were worthy! I would let sound suggestions for next patches, cause it really is additional work. And honestly I think that Galadriel is currently strong enough. Her primary attack deals solid damage and she has many destructive abilities. She would be extremely OP if you add something more. You mean limited building system like in the BFME1? Then I would recommend you Edain mod. And last image was added quite recently. The whole new subfaction just takes time. And I'm not even talking about other team members. If you don't want to only wait, then you have unique chance to shape Edain mod by contributing to Modding Union forums. You should always ask the same question - before you write comment here - am I worthy of demanding release date or spamming some nonsense? Spamming pointless comments it's not so challenging like getting your ideas into the mod. I didn't want to wait, so in the past I created account there, started contributing, and eventually got my ideas into the mod. Do you want something less challenging? What about answering users questions here on Moddb? If you know the answer, just answer. If you don't know the answer, just google and you will probably find it on MU or Edain wiki. Concerning Dain as a ring hero - look here: Modding-union.com ... although quite sleeping forum these days, MU still has wonderful threads and concept-makers! Definitely pleasure to read, at least for me. Similar ideas how to "revive" Durin were in the past, of course, but this concept is trying to solve lore issue around him, cause it's quite "lore weird" to see old and wise king Dain using The One ring for some his purpose ... when in the Fellowship of the Ring behaves differently. Concerning Witch king's ring ambitions. Well, you have to take into account that it's just a game. Sometimes to find suitable solution is just problematic. I completely agree with you that Witch king's mind is devoted to Sauron's will, even after his fall, so scenario when Witch king takes the One and replace his master is really "what if" ... but they tried to explain it only by using "cold/freezing aura" against enemies, so technically it doesn't change Witch king at all (so there isn't any master replacement or something like that). And honestly - throughout the Edain years, I haven't seen concept for Angmar ring hero where you could say: "Well, finally interesting, lore accurate and conceptual ring mechanism for Angmar". So current version is definitely the best version. I think that there is logic behind it - Blessed form will only add something to normal Galadriel (in this case supportive aura), while Twilight queen will completely change her (transform her normal skillset into destructive one, white ranged attack to blue melee attack, white model to blue model ... ). So yeah, if you want to compare it with current version, it looks like that will be only two "full forms" - Normal and Twilight, but normal can have that powerful blessed-aura upgrade, which someone counts as a form. Well, trample is something like evergreen, all cavalry units have the same problem. It's about feeling of the first BFME, where you have upgraded rohirrims that trample and kill anything in their way. In Edain it's not so effective as you would expect. It's because of so many units and their different roles, though. It's not a bad idea. I know "evil dwarves" from Lotro game, they are important in many storylines, and yes, they have roots in Hobbit book. They are called Dourhands and are lead by Skorgrim who is a servant to one of the Nazgul. So there have dealings with Sauron who is trying to recruit all evil forces like haradrim or easterlings. But goblins are quite isolated. Hidden in the mountains. Btw Misty Mountains spellbook was quite overcrowded in previous versions with summon spells, and include them as regular unit would destroy goblins feeling which will be splitted between three subfactions. There are also heroes, like Smaug, who hate dwarves in general.